This is a little story about Buyers and Sellers in Reston. This young couple is hoping to buy their first home. After viewing hundreds of homes online and researching different communities they selected Reston as being a great place to start their life together. They were impressed with the amenities, loved the urban vibe of the Town Center, the unique charm and beauty of the Lake Anne area, they were sold on the community. They had a good sense of what was going to be available in their price range, they had already spoken to their lender, and they are ready to buy! We looked at 10 properties that were within $25,000.00 of top of their price range. 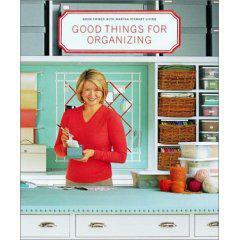 Stage your home Martha Stewart style and watch you home fly off the market! I thought I was going to scream, but honestly Sellers, it's what you have to do. Two of the houses I showed on Saturday were in the same townhouse cluster. One was extravagantly over improved but had dishes in the sink, unmade beds, toothpaste in the sink, and half way into the showing the home security system went off with an eardrum piercing noise that defies description. The other house on the same street, was in a slightly closer to the main road, which is typically considered less desirable, and it had no significant or showy up grades; but oh what a difference. The second house was an oasis of serenity. It was immaculate, it was uncluttered, and it was neutral. Everything about the house said "I have been cared for." My buyers were reassured, nothing felt scary, they could see themselves living there. Tonight the Buyers are going back to take a second look at the tidy little townhouse; the listing agent called me earlier today to say that he has received one contract (after 8 days on the market), so if my buyers are ready to write a contract we'll have to scramble, hopefully it will fall in their favor because they are in a position to write a nice clean offer, but the moral of this story? We all need to take a clue from the Boy Scouts...we all need to be prepared.